A truly successful truck driver has one key component - a good dispatcher. The role of a freight dispatcher is perhaps one of the most important within the industry. While freight cannot move without truck drivers, drivers are more successful when they well-routed by an industry expert. A freight dispatcher serves many purposes. The main part of the job is to coordinate the delivery or pickup of loads with a minimum cost to the carrier. 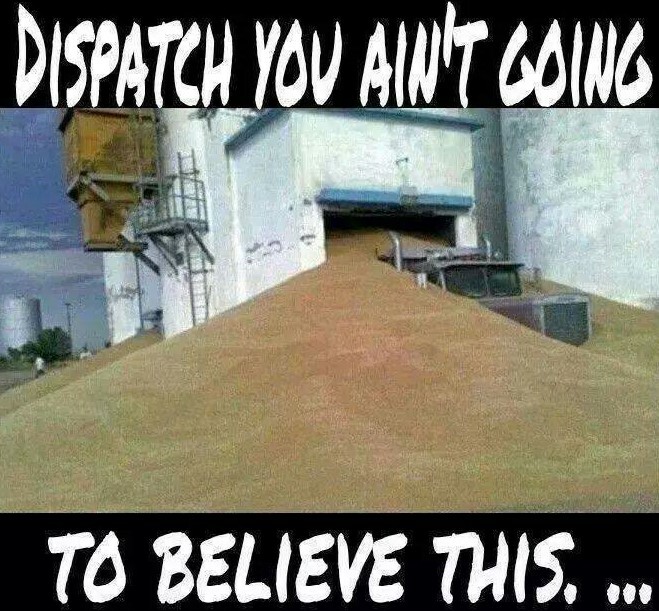 Specifically, a dispatcher schedules drivers to pick up and/or deliver loads to customers and/or vendors. They also audit records, including driver logs (paper or electronic), driver vehicle inspection reports and hours of service compliance. This list is not meant to be all-inclusive, but rather an overview of the more common functions of a dispatcher. Basic educational requirements including basic computer skills, math, reading and writing are essential. Additionally, a dispatcher needs to have good intuition, a practical knowledge of the transportation industry and a good rapport with drivers. In a perfect world, a dispatcher would have hands-on CMV driving experience. However, it is not necessary. As long as the dispatcher is willing to learn what a trucking job is truly like they can be an effective dispatcher. A great dispatcher, along with their drivers, also has some knowledge of geography, especially in the regions they primarily have their routes in. For fleets based in Texas, it’s crucial to have knowledge surrounding the territories and routes of the large state. Even for a state such as Iowa, it’s smaller size does not exclude it from posing challenges to drivers and dispatchers. Some companies will look for a Bachelor’s degree. However, real world experience is just as valuable, if not more, than a degree regarding this occupation. Having hands-on experiencing driving a truck, having to re-route yourself, as a driver, when presented with unforeseen obstacles, unloading trailers yourself, and the like will serve a dispatcher better in safely and fiscally routing loads. One might wonder with the advent of routing software how a dispatcher position could continue to be important. The truth is that software is only as good as it’s maker and operator. While software continues to be improved upon there are still some key flaws. The first is that when setting up a route, you can only choose one speed limit for the route. If half of the route is highway miles and half is city miles, it’s more complicated than just taking the two speed limits and averaging them. Each city has it’s own unique delivery quandaries. How a driver delivers in New York City is not going to be close to how they deliver in California. There are so many pieces and parts it is difficult to cover it all in one article. Suffice it to say, a dispatcher needs to use the software but be willing to make concessions when delivery times are unrealistic. A lot of a dispatcher’s job revolves around the telephone; however, a dispatcher is more than just a glorified receptionist. As a dispatcher, you need to be able to negotiate freight rates, put together freight contracts, logically put together delivery loads paired with backhauls. You need to have exemplary people skills. In any given day, you can deal with dozens of different vendors, drivers and customers. These positions must work in tandem with those who hold truck driving jobs to assure efficiency. The transportation industry is very “in the moment”. There is often no second chance to make a good impression. Vendors who have a bad experience with a transportation company can just as easily use a different carrier. Vendors have contracts with multiple carriers, so it is not -typically speaking- a violation of a contract to use someone else. Therefore, having a good attitude is key. And that can be hard when you feel as if everyone is demanding more of you than you can give. Drivers want more home time, customers want their deliveries faster with less damage, and vendors want their product picked up quicker so that their customers are happier. How does a dispatcher balance all of those wants into one cohesive route? There is no one specific answer, that is why many trucking companies succeed thanks to an instinctive dispatcher. A dispatcher knows they need to be able to keep the drivers legal and safe, customers happy, and overall costs to a minimum. This means they have to learn how to combine shipments in order to minimize the number of trucks and drivers needed. Dispatchers will also have to learn how to negotiate rates. Rates are determined by lane and each carrier has their own lanes they run. What carrier A runs may be on a completely different side of the nation than carrier B. So, one also have to be able to maintain multiple contracts. A dispatcher is responsible for making sure that all special needs of a load are met. This includes oversized loads, hazardous materials, refrigerated, livestock, etc. The dispatcher has to schedule the correct equipment, and make sure the driver has the appropriate paperwork for the load. There’s certainly nothing mundane or particularly simple about the job. A dispatcher is constantly working to remain loyal to customers as well as drivers. Although their loyalty may ultimately lie within their own company and fleet they are helping to manage, this does not mean that a dispatcher can demonstrate favoritism- there is a very delicate balance that one must tread in order to make everyone feel valued. The American Trucking Association projected, in 2015, that freight volume would continue to increase and expand by nearly 30% by 2026. Foreign trade is also projected to increase, meaning the potential for more intermodal cargo for drivers in the United States. Many studies point to driver turnover being on the decline, and with more drivers entering the industry, it’s paramount that dispatchers know the involvement it takes to get their drivers safely down the road. However, the greater number of drivers means more work for dispatchers. More often than not, dispatching positions can be highly stressful. Many dispatchers will have to work weekends, nights and holidays throughout the course of your career. 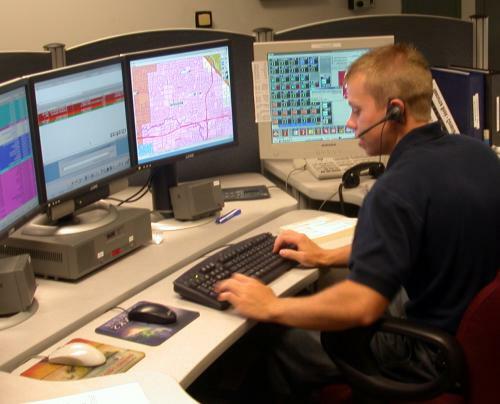 Frequently, dispatchers are even on-call to handle emergencies in the middle of the might. Drivers must keep in the mind the environment in which dispatchers work and how their duties can go around the clock. Dispatchers must also work around four different time zones in the country. They may be dealing with a client in Florida who is two hours ahead of another client in the Rocky Mountains, which can be both confusing and frustrating altogether. Just as understanding how important a healthy driver-manager relationship is, drivers must also understand the ties and bonds between themselves and their dispatcher. In some respects, it may seem like a fairly distant type of agreement – drivers are routed a certain way to meet a deadline, and being the good employees that they are, they follow instructions from those in charge of the logistics of the journey. The fact of the matter is that many dispatchers care deeply about their drivers and want to emphasize safety over merely saving time on the road. It’s not always the case that dispatchers are so matter-of-fact about those in the truck. They know that drivers have families that care about their safety and well-being, as well as feelings and concerns about an individual’s life on the road. 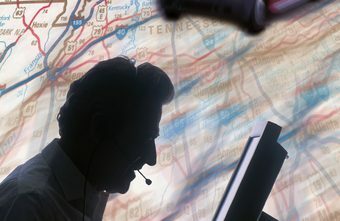 Furthermore, many dispatchers are frequently retired drivers who wanted to remain in the industry or are connected to someone in the field. Being a veteran trucker who helps make managerial/logistical decisions not only gives a person some practical know-how in assisting with routes, but instills some amount of empathy in the decisions they make and a certain level of recognizing what is actually good for a driver’s health versus what is beneficial for a trucker and their equipment. Drivers and dispatchers should find some sort of working business relationship wherein they can discuss the nature of the job openly. Drivers should not be afraid to let a dispatcher know their thoughts and input towards certain practices or taking a certain route, just as dispatchers must be realistic in what they must command in order to keep the freight moving along for a client. It may never be a perfect 50-50 split on drivers wants and needs and dispatch expectations, but opening up the channel for communication can work towards action and understanding that is beneficial for both parties.